Located in Polk County, just outside the city limits. 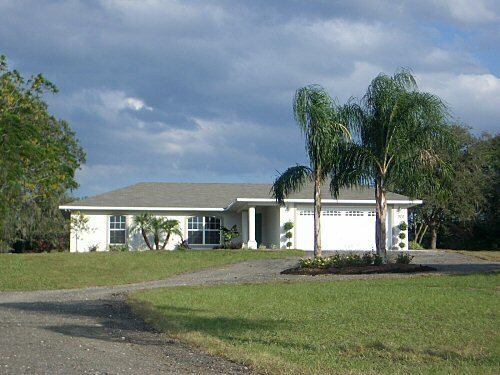 This is a brand-new home, just completed on November 1, 2005. - with 1343 square ft. of living area and a total of 1882 square ft.
under roof (entry, 93 sf; garage, 446 sf). It is block construction with stucco, and shingle roof. two car garage, well and septic, city water. Home includes a one year Builders Warranty. Click HERE for interior pictures.